The BDSwiss Forex MT4 platform is perfectly equipped for traders who wish to trade in the financial markets (forex, stocks, commodities and more) and it’s available to all our Mac OS users, ready to download directly to your computer in just a few simple steps. 1. Click “Download Now” to start the download. Note: The size of the installation file is about is 310 MB. Please wait until the download has finished. 2. Extract the contents of the zip archived file by double clicking on it. 3. 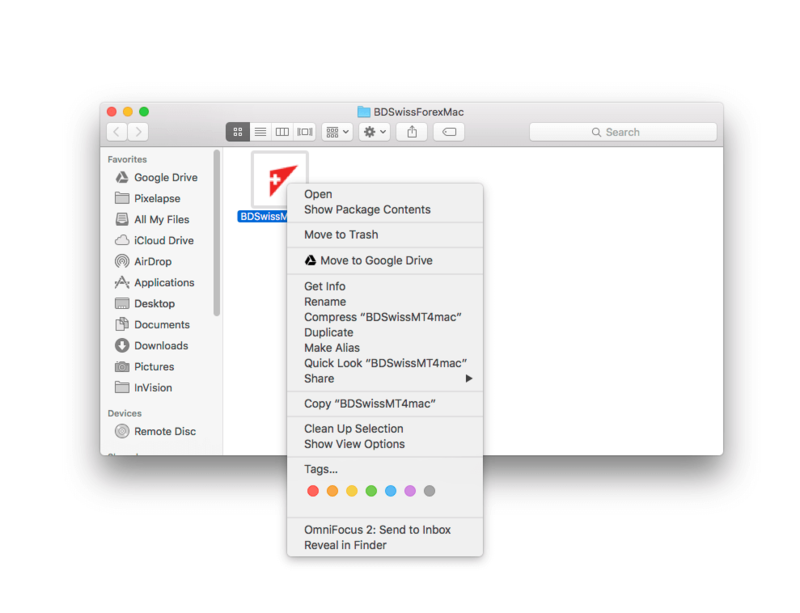 Should the operating system of your Mac be OS X Mountain Lion or OS X Lion, please right click on the icon of the application and then select Open from the contextual menu. 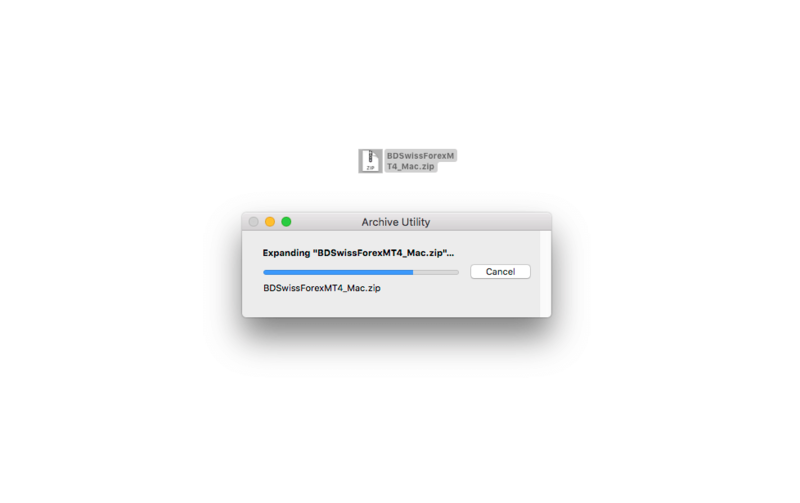 Please do not double click on the unzipped file as the error will appear due to the fact that it was not downloaded from the Mac App Store, click here for more information. 4. Click on Open in the new dialog window when prompted. 5. Allow a moment for the BDSwiss Forex MT4 Platform to open (the delayed start should only be experienced on the first run) and once it shows up, click Cancel on the Server Finder window shown below. 6. Finally, login to your MT4 trading account as usual. This software is using Wine and WineBottler which are free and open source software released under the LGPLv2.1+ license. ธุรกรรมการชำระเงินมีการจัดการโดย BDS Markets (เลขจดทะเบียน: 143350) BDS Markets ได้รับอนุญาตและมีการกำกับดูแลโดย Mauritius Financial Services Commission (”FSC” ใบอนุญาตเลขที่ C116016172) ที่อยู่: 06th Floor, Nexteracom Building, Ebene, Mauritius.